Help! 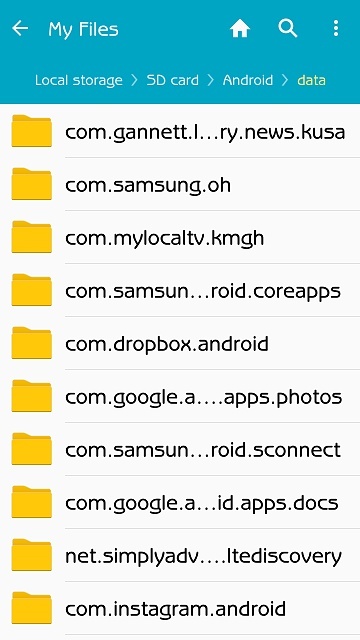 No Android directory on external SD? From what I understand, on a non rooted device running 4.4.2 Kitkat, apps are not allowed to write to the external SD card EXCEPT for their 1 dedicated app folder. I can find such directories in my internal storage (sdcard0) but nothing like it in my external SD! The only folders I can browse to there are ones I have created myself! Yes my apps were installed on/ have been moved to the external SD and yes, I have it set my file manager to view hidden files and folders. I keep seeing screenshots of everyone else using these directories to somewhat bypass the ****ery of 4.4, but why don't I have them!? I'm not sure why you aren't seeing them. They are on my Note 4 here on 5.1.1. I don't remember seeing that directory on 4.4.4. Does Smart Lock work on the Moto G (2013) in Marshmallow? Office 365 works fine with Android Platform?